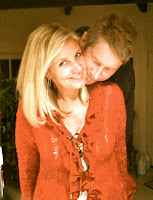 Best thing about Christmas after remembering Happy Birthday Jesus, is time with loved ones. The holiday season can be a joyful and festive time of the year for some people, filled with parties, celebrations, and gatherings with family and friends. However, for others, it can be a very difficult time, filled with sadness, disappointment, loneliness, and anxiety about the future. It can be especially hard for those in unresolved broken relationships or those with unmet expectations. They get a bit of the holiday blues or experience more severe forms of depression. I loved my recent trip to Iowa to get sworn into the practice of law. I loved seeing my sister and her family. 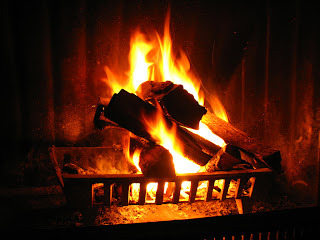 I loved cozying up by the fire with my husband for a rare moment of rest. I loved finishing Joel Rosenberg's new book The Tehran Initiative. I loved the snow. I even loved the cold. As Christmas approaches, I am reminded once again of the Reason of the Season---God became flesh and dwelt among us in the person of Jesus Christ. He was born to die. For us. For me. Not because I deserve it. Not because I am worthy. I don't deserve it and I'm not worthy. And yet, Jesus died for me so I could be saved from the penalty I deserve for my sins, that is, death. Now licensed to practice law in Iowa in addition to California!